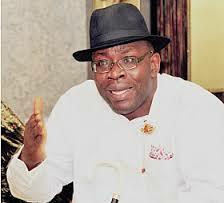 Seriake Dickson, Bayelsa state governor, on Friday lamented the poor financial position of the state, disclosing that the state got N2.9 billion from the federation account in February. Dickson explained that the state government got the February allocation after deductions at source, including bonds incurred by the previous administration. He called on the federal government to take drastic measures to change the harsh economic situation, saying it was becoming increasingly difficult for the government to meet its financial obligations. “I have not seen anything like what has just been reported to me by the finance team. For this month, what has come into our state is N2.9 billion; it has never been this bad,” Daniel Iworiso-Markson, his chief press secretary, quoted him as saying during the inauguration of three new special advisers. “Meanwhile, our salary obligation for civil servants alone, is about N4 billion, so you can see where we are, as a state. “Four years ago, when this government started, the first allocation we received was about N16 billion. At some point, it climbed to N18 and even N19 billion. And, that was why we put all your resources in most of these ambitious projects that a number of them, including the Ogobiri bridge, first flyover and several roads have been completed.” Appealing for understanding from the people, particularly the workers, Dickson said the state government would be compelled to take hard decisions after due consultations with stakeholders.